Yes, we all run away from our Lord once in time and we all need healing. How and what will bring the healing is quite a controversy among different nations. No one has accepted the truth except those who get the revelation from the Lord. And these people have tried to take it to their brothers and sisters, but yet no one has believed them. They feel that without sharing the good news to everyone around them, their lives is meaningless. This is because the Lord almighty has made his will their purpose. And he wants everyone to get saved and be well once and for all. And this person is sent to bring the message of healing to the unsaved and unforgiving people. 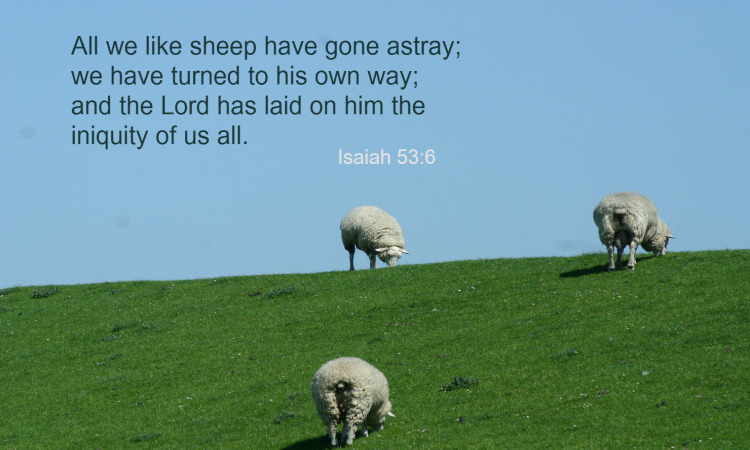 "Whom shall I send to find my lost sheep? Whom shall I trust to be a loyal shepherd for my people?" "Who has accepted our messages- the message you gave us to tell your people?" Was it all that difficult to understand the message of the Lord? No. the message of the Lord is as easy as lovers. So what happened then? Why are these people are not believing the message of the Lord. Why they kept being stubborn in their hearts. Why they watch as the flooding, take them to the valley of the dead. They never scream or shout for help. They despise anyone who comes to rescue them. Any one the Lord has sent them to get saved, they have killed. Is it because of the message or the messenger? I will say, "No, it is not because of the message or sometimes not because of the messenger." "Why is not always because of the messenger? " Well, it is not easy by any means to get a messenger who speaks exactly as he hears from the Lord. With all love and honesty that comes from a pure heart. But the bigger problem is not on the message or the messenger, but to the people the message is sent to. They cannot open their hearts and listens what is the will of the Lord in their life. The scriptures say the ruler of this world has closed the ears of their heart not to understand the will of the Lord for their lives. Should we say it is the will of the Lord for his people to get destroyed and swipe away by the sinful ways they choose to live? No. The will of the Lord is for all of us to live a pleasant life. For God has sent his only son to save the world not to let anyone to die in their sins. Not even a single person. He loved the world like his only begotten son. In fact, he sacrificed his son to get peace with all of us. Which means he loved us more than he loved his only son that he has from the beginning of time. Poor thing the devil doesn't know that as he cannot understand what love means. I mean the only thing he knows is how to satisfy his selfish desires. to the first point of time we are given to him. Why we are given to him? Because we don't want to be with our father. We have not accepted his teachings and correction. And what happens next? We are given to someone wicked who will do the dirty job. Why dirty? Because there is nothing clean nothing glorious about the life we are living now. We are here because we are not obedient sons and daughter of the king. We are in prison - call it hell if you like to. We are fugitive- not willing to abide by the rules of the country. We run away from Eden, a beautiful garden of the Lord. Our father is a king and we are his disobedient prince and princess. Why then the Lord has given us to the wicked. It is because our thoughts are like the wicked. Isn't it too much to bear to have someone like the devil take control over us? Yes, it is. But still we have a chance to turn to our heart and do only what is true. To do only what is of our true father's nature. To do what is good, benevolent, purity, integrity, kindness, servitude, passion, compassion. May the grace of the Lord Jesus Christ, and the love of God, and the fellowship of the Holy Spirit fill us with these, in Jesus Name, AMEN!